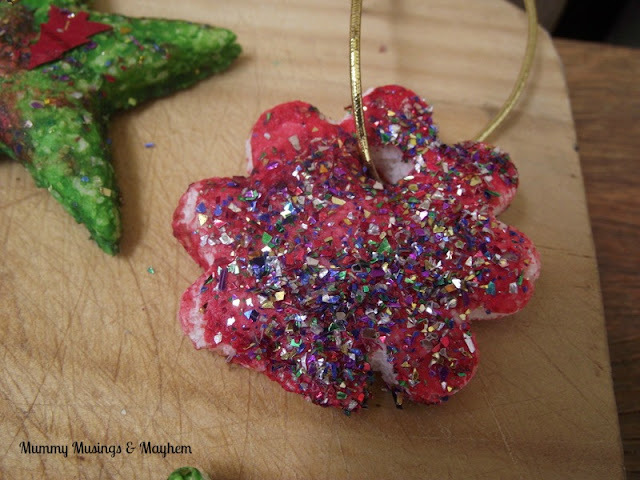 I know Christmas salt dough ornaments are pretty common at this time of the year but I thought it might be nice to share ours with you anyway…mainly because it really is such a simple activity that offers so many opportunities for family fun and tradition! 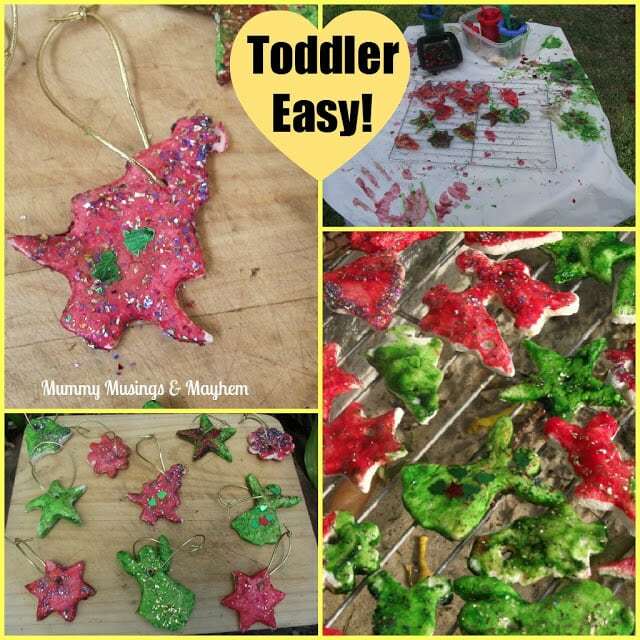 I used to make these every year with Miss Teen and when I pulled a few out of the box this year it reminded me that the toddler twosome were now old enough to also participate in this fun family tradition! 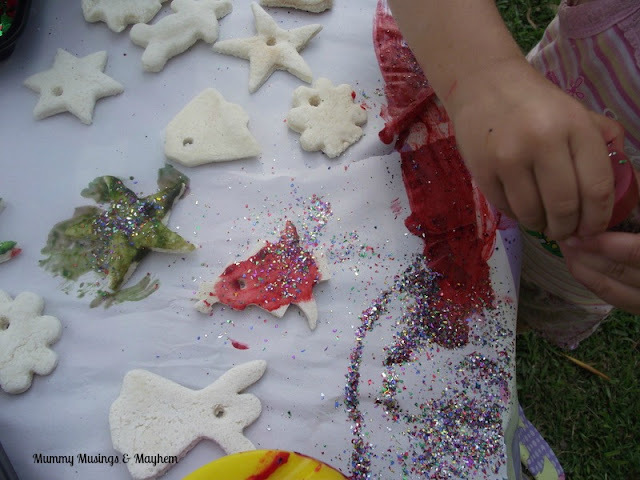 It’s also an easy activity to enjoy with a group of younger children and they make lovely keepsakes to take home to parents and special family members. 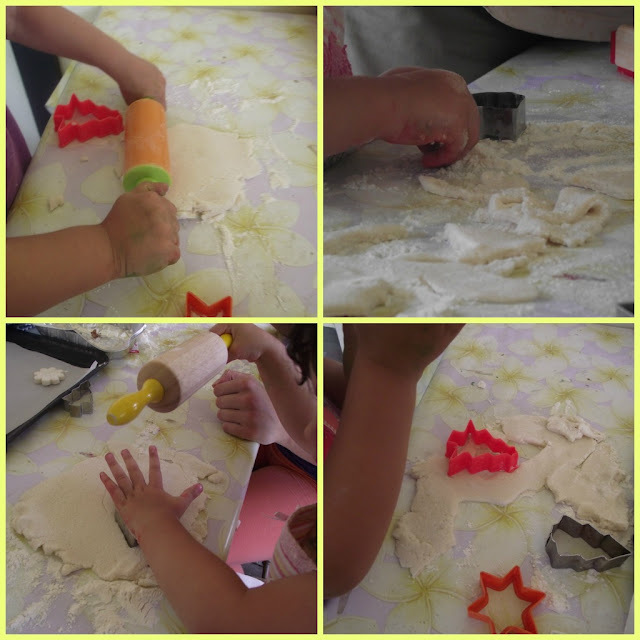 I love that children can be involved in the process right from beginning to end by mixing the ingredients together to rolling out the dough to cutting out shapes then decorating when dry! 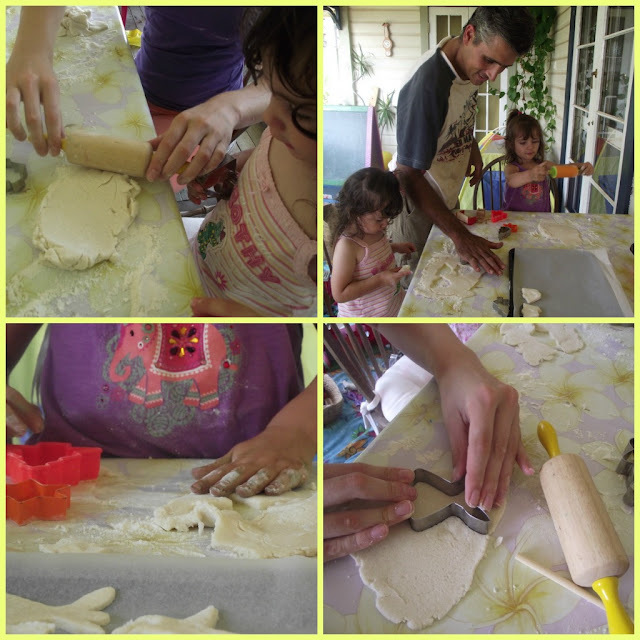 It really is a simple process….salt dough is a very easy recipe and I’m sure you will find many recipes across the net if you search but this year I tried something a little different…I used THIS recipe from At Home with Ali although I was having a particularly …shall we say ‘fraught’ day after a week of vomiting viruses in the house so I skipped all the cooking steps and just mixed the lot together…ooops. But it worked a treat and made a lovely white dough! 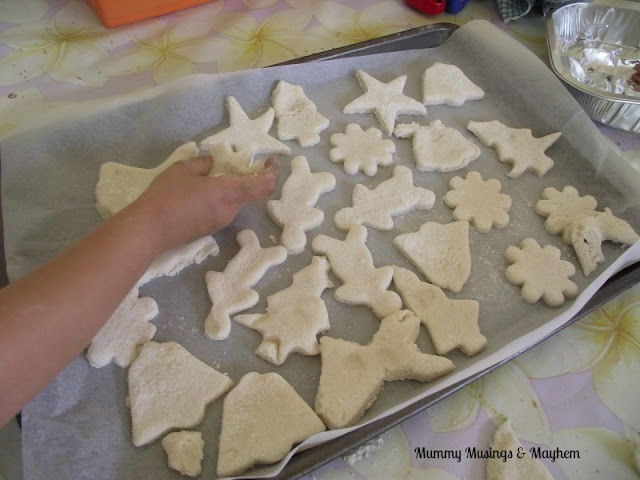 Normally with salt dough you need to cook the salt dough for 3-4 hrs in a slow oven to really dry them out and harden enough for children to paint – this time however I simply cooked them using the microwave oven and it saved so much time! 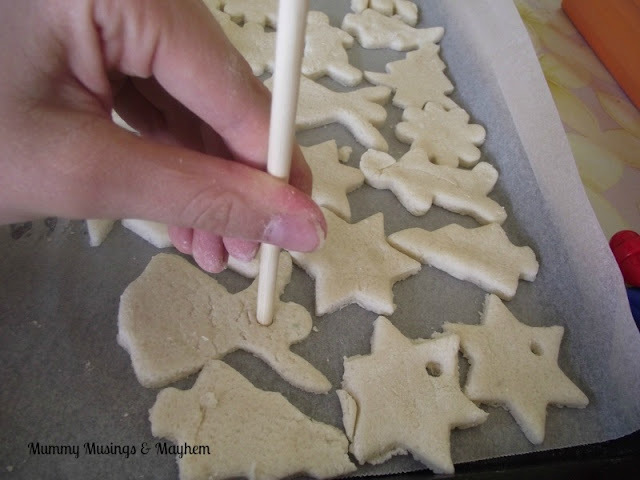 Baking salt dough ornaments in the oven to harden them means you can’t usually complete the activity in just one day (especially if you have a lot of children! 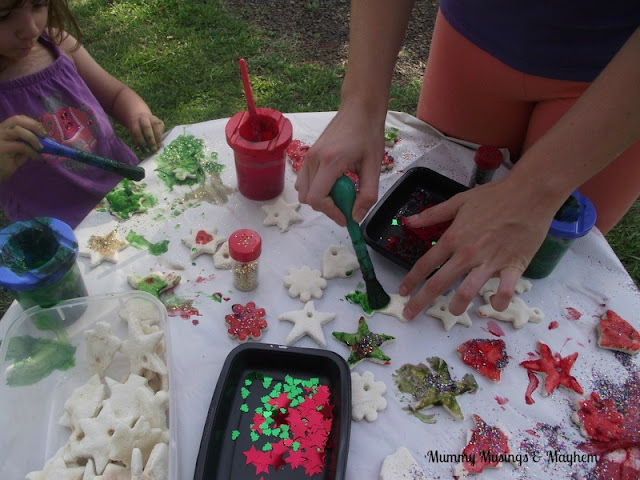 )….microwaving the ornaments really worked so well and we were able to make and paint our ornaments all in one day! After the children have had fun creating and cutting out their Christmas shapes lay them flat on trays and use a straw or craft stick to poke a hole in the top if you want to be able hang them afterwards. Not to sure about using the microwave to speed up the cooking and drying out process? 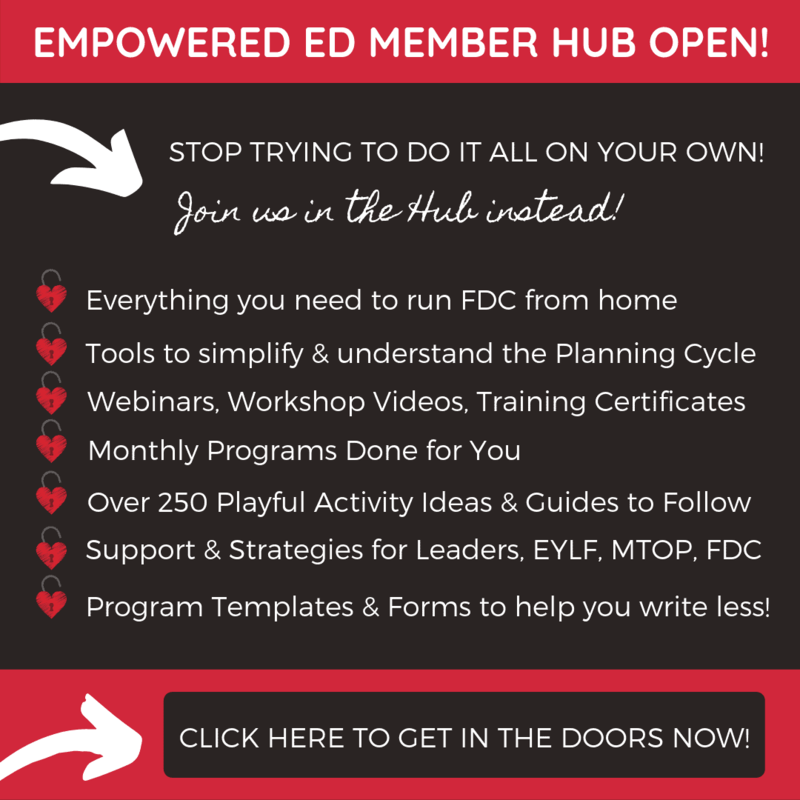 Check out my easy instructions below and give it a try! Spread them around a large plate and then microwave on High for between 50 secs and 3 minutes total. Check at 20-30 second intervals as cooking times will vary and it is quite easy to burn and go past the point of no return!! Turn over once during cooking time to help both sides dry out evenly. Cooking time will vary depending on the number and thickness of ornaments you place onto plate, your microwave oven size and also the thickness of the plate itself. Keep a close eye on them while cooking and find the total time that works best for you – you’ll know if you go to long because they will blacken! I suggest using a ‘demo’ batch as your first lot. If they still have a few wet patches even after 3 minutes just cook in 10 second intervals until hard all over. 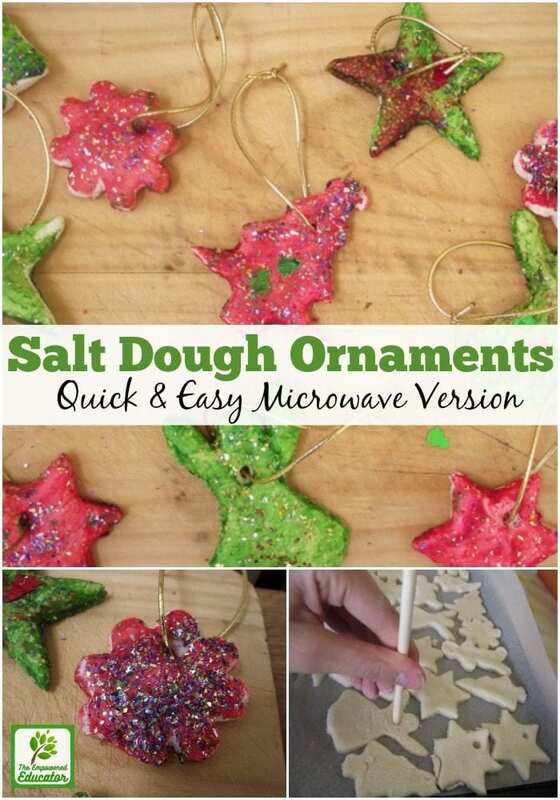 Now your salt dough ornaments are hard you are ready to get messy and have some fun decorating! Keep it as simple or as messy and colourful as you like. 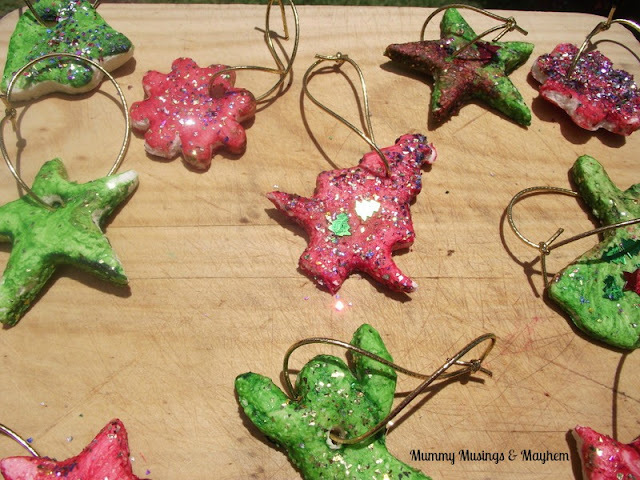 You might even decide to leave them white although a little sprinkle of glitter after brushing with glue is nice too. 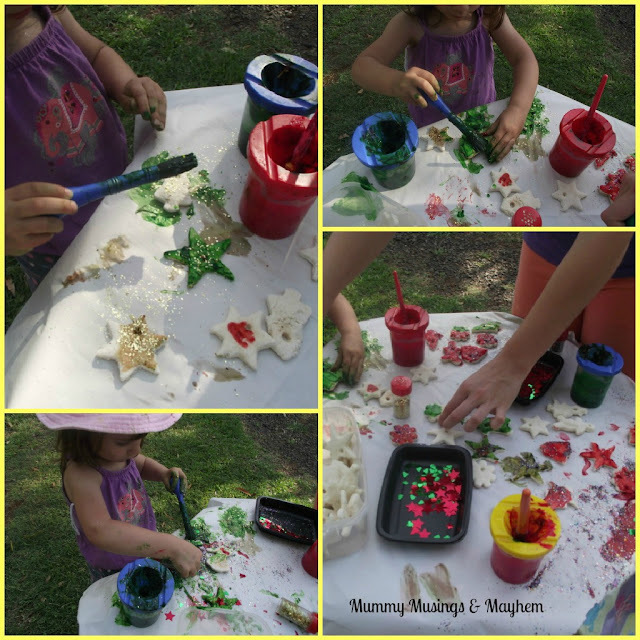 I used some of our easy homemade and baby/toddler safe CORNFLOUR PAINT and put out a few little dishes of Christmas sparkles and some glitter shakers…we set up our decorating table outside so that we didn’t need to worry about glitter going everywhere. You don’t want to stifle that self expression and creativity just because you are worried about mess inside the house! There was a whole lot of glitter love going on which I figured there would be with toddlers but the beauty of these salt dough ornaments is that each child is free to decorate in any way that they want to…they may not be perfection but they were so very special to me and will remind me of this Christmas for many years to come! Ruby had lots of fine motor practice with her glitter shaker….if we hadn’t been outside I might have been a little stressed! I was really pleased with how white and hard the dough turned out considering I used a new recipe and different method of cooking! I think these will be around to hang on the tree for many years to come! Another good thing about doing them outside was that there was plenty of opportunity to go and have a little run around and then come back to the creativity! I tied a little gold string through the ornaments and they were ready to hang…needless to say all 3 girls were very excited by this prospect…and obviously proud of their achievements! We did quite a big batch so I have kept some for adding to family members Christmas presents…the rest have found a spot on the tree! 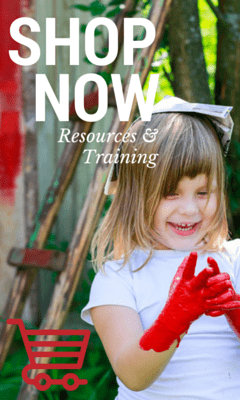 This activity is so toddler friendly….it’s easy for them to do themselves and offers a wonderful opportunity for self expression and a sense of achievement and pride…not to mention a little practice for those fine motor skills! What’s not to love about a salt dough ornament created by those special little people in your life? 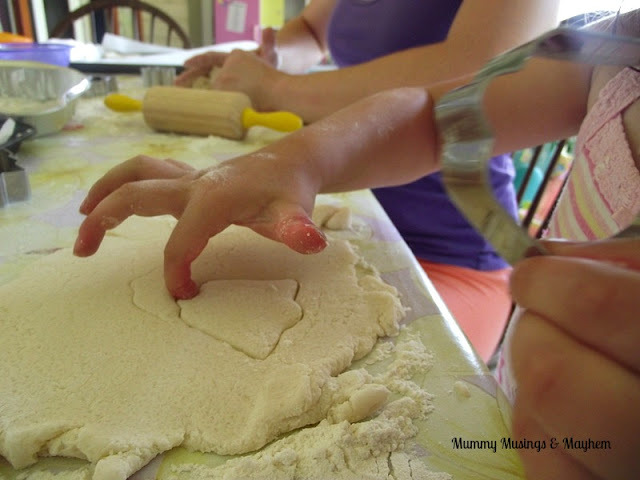 Looking for more salt dough inspiration? 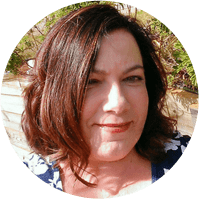 I think you’ll find these links helpful…..
And have you seen our Salt Dough Handprint Keepsakes They make such a lovely gift! PIN THE IMAGE BELOW TO KEEP FOR LATER! 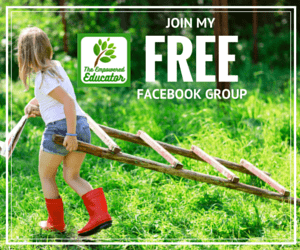 Why not join me on Instagram for more ideas and inspiration for early learning! « Homemade Christmas Gifts for Grandparents! 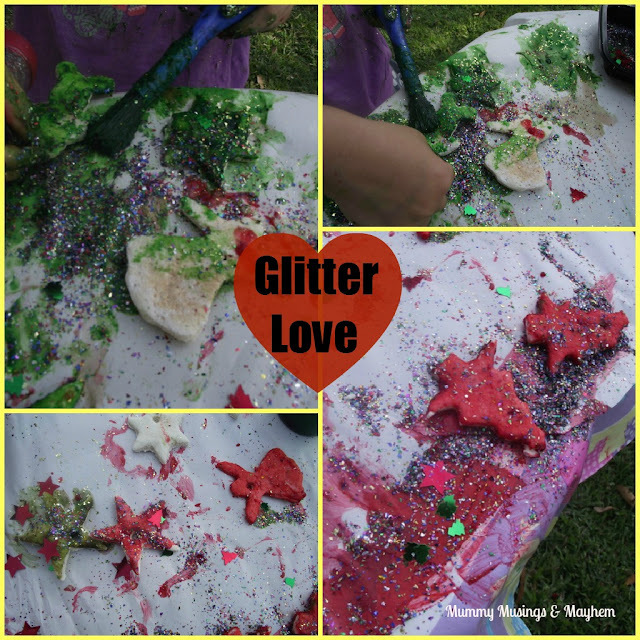 Yes, we made some last year….and gotta love the glitter…it is just magic to kids…we constantly have it in our hair, face…rugs, table tops…grass….EVERYWHERE! Yep…very, very rarely do i use it inside…Ruby wields it like a garden hose in all directions! Hi Meegan…cornflour paint is basically a paste so it does stick for awhile but to keep it sticking longer i added a squeeze of kid’s PVA glue just to help it along. 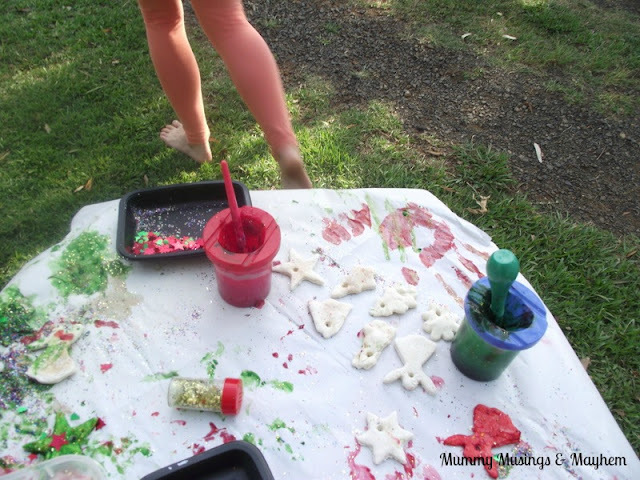 I also mixed a little glitter through the paint as we have been using it for a week now on everything lol! So glad we don’t get snow here, not sure i would know what to do with myself hehe! A good tip if doing inside is to aly out a large sheet of butcher’s paper or newspaper and then just scrunch it all up with the glitter contained when finished! Good luck…you don’t even need the glitter, they will still be pretty all the same! They are so wonderful and festive. I haven’t done salt dough ornaments before. I need to, because as simple as they are it’s such a good craft activity. They look great, we cooked ours a little too fast in the oven and they cracked on the surface. Looking forward to trying the microwave out next time. Loved that Dad joined in also!! Never mind the cracking Jay…everything looks good with paint and glitter!! !The microwave was definitely easier i think! Just quietly i think Dad had as much fun as the girls!! I haven’t make salt dough ornaments either. 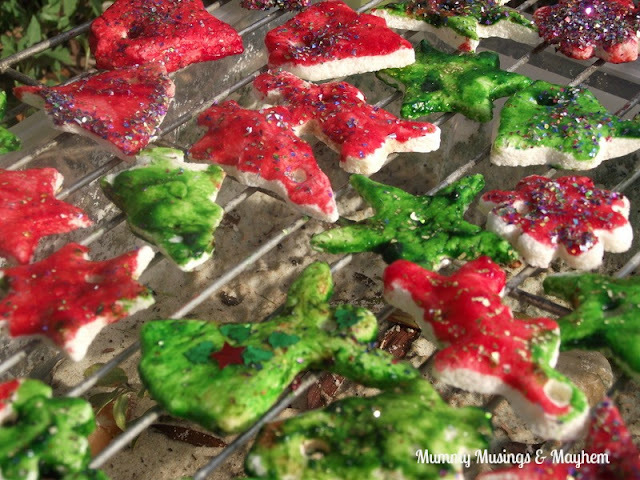 I’ll really have to give this a go… when I get enough animal cookie cutters that is! WHA? You can microwave salt dough????? I had no idea and am about to whip up a batch shortly. Thanks for letting me know. No longer do I need to find a few ‘spare hours’ waiting by the oven. Awesome tip about microwaving! We will try that next time too. I love all the glitter, smart move decorating outside 🙂 we haven’t made any this year, but loved pulling out last years to decorate the tree! Oh, how wonderful do your salt dough ornaments look!! It is such a fun family activity to do together. I will have to try your recipe, looks great! I have done salt dough for years and I have never heard of microwaving it! What a great tip! 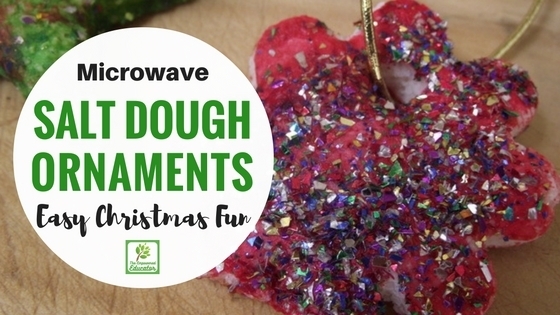 I keep our ornaments for years so I hope the microwave dries the dough just as well. I had no idea you could microwave them! Wow! What a timesaver! We always left our to dry out FOREVER! Thanks for the tip!